Happy Wednesday!!!! I hope this finds you feeling good and having a blessed day! I am loving this cooler fall weather here in Wisconsin. 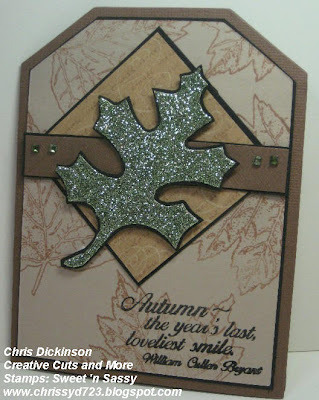 This week's Belli Challenge is to create a card, scrapbook page, or project with HALLOWEEN COLORED BLING OR GLITTER! You can use the Brads, Gem Stickers, Stickles, Designer Paper...just about anything you have lying around your room! Remember, we are supposed to be using our stash! We all have it... remember? That stuff from last year you HAD to HAVE? We would LOVE for you to join us! Come see what the rest of the Design Team has to share HERE. This is actually a little Shadowbox! You can see directions in the October Technique Junkies Newsletter! Accessories: Bone Folder, White Gel Pen, Stickles, Copics, Word Window Punch, Silver thread, Dimensionals, Circle Punch, White Brads. TECHNIQUE JUNKIE TREASURE HUNT - CRINKLE! Hello! Welcome to the third Technique Junkies Blog Hop! Wasn't everyone's projects FABULOUS!? Looking at everyone's projects always makes me want to create some more! (If you didn't arrive here from Kimm's blog, you don't want to miss what our whole DT has in store for you! The Treasure Hunt starts at the Technique Junkie Blog! In the process of going from Blog to Blog you will want to collect small treasures! At the end of the treasure hunt, put the collection together to see what it says and follow Pat’s directions to have an opportunity to win a FABULOUS treasure chest filled with prizes! This project gives you a SNEAK PEEK to the Technique "CRINKLE". The technique instructions are available in the Technique Junkies October Newsletter ! If you are not a subscriber, I really must encourage to become one! Each newsletter is better and better with step by step directions (with pictures!) on how to use these WONDERFUL techniques! The treasure you will find here is the letter "X". Now that you have gathered all of the "treasures," you will want to head over to Pat's Blog and follow the directions to the TREASURE HUNT. Thank you for stopping by! Have a great day! HAPPY SATURDAY! Today, I will be gone all day for another day of SILENCE! I love these days and take them every 6 months with the Care Ministry Team at our church. It will just be me, God and my Bible and notebook today - these are the BEST days to quietly reflect on what the LORD is teaching me in my Spiritual walk. Well, you know today is Saturday and it is Sweet Stop Sketch Saturday! 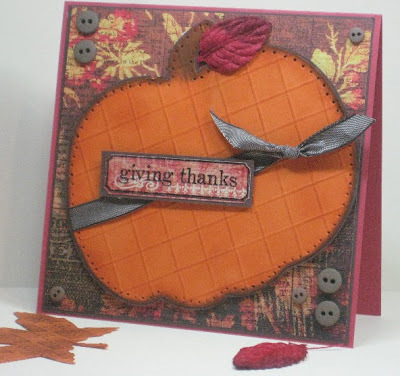 I created two more cards from Creative Cuts and More's FABULOUS Fall Kit. You can scroll down for several more samples!!! This first card I created is the Side opening Tag Card with Oak Leaf - Small in double-sided Tacky Tape, so I was able to sprinkle som green glitter on it to get this shimmery leaf! It looks pretty cool in real life! 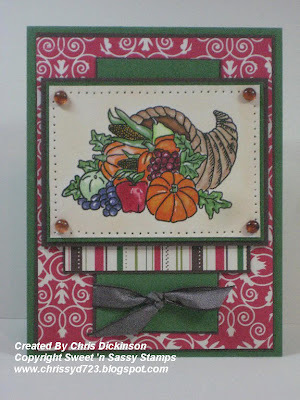 Here is another card with the same sketch, using the Fall Kit... 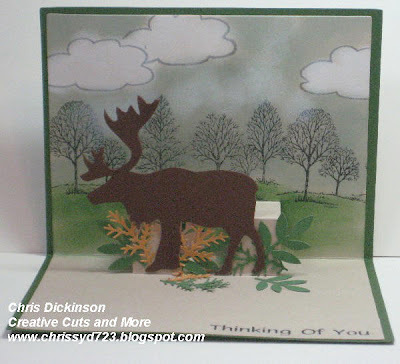 This one uses A2 Card in Bazzill Ivy Cardstock (to go with A2 Pop-Up Insert), the moose die cut does not come with the fall kit, but is available at Creative Cuts and More listed under animals, the double stitched Chocolate RIbbon also does not come with this kit. Everything else is included in the kit!!! BLOGGERS CHALLENGE and a SNEAK PEEK! Hello! Today is the Blogggers Challenge Day and we are doing a Product Focus. The product focus is Designer Paper... I can remember when DSP first came out, I thought - ick! I want to use stamps...well now, I LOVE DSP - it offers such a fast way to make your card *WOW*. 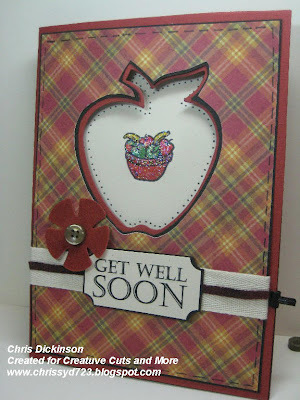 The card I created uses Creative Cuts and More's APPLE CARD. The layers on this card are NOT included at this time, I added them myself. 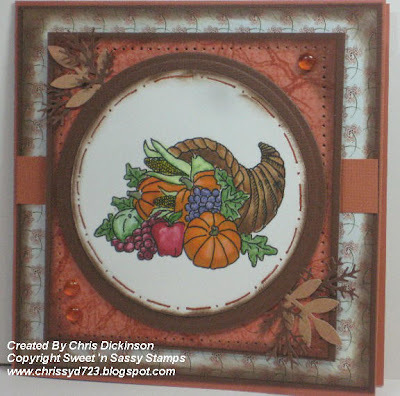 This card is also available as part of the FALL KIT and uses the K&C Designer Paper that is double sided. This fall kit is beautifully created filled with fall die cuts, an entire pack of Designer Paper, ribbons, buttons, velvet die cuts - I am really having FUN designing with it!!! Accessories: Pencil, Paper Snips, Twill is not included in the kit, the other ribbon is, Copics, Black Marker, Stickles, velvet flower die cut and button is included in the kit. Once you are finished looking here, you will want to see the other Blogger Challenge participants projects HERE. Do not forget to come back tomorrow for the Sweet Stop Sketch! Have a great day! So...have you seen this new image? I actually drew it last year but Korin wanted the Jesus is Born set (on sale now for only $11.25!) This summer when Korin and I were talking, I sent her the rough sketch of this image again (it still needed refining) and said I would LOVE to have this image - so she said go for it! So, long story short - you can find the complete DIGI image set HERE. I hope you like it as much as I do! If you love the image - maybe next year it can be a stamp set! I personally would love to have this as an actual set! If you love Spiritual type images for Christmas there is another one I drew called The Shepherd Boy. Both of these sets are available for the low price of $3.00! 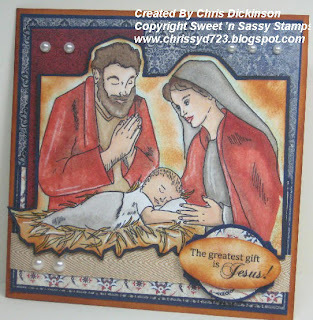 At Sweet 'n Sassy Stamps there is a wide variety of images and Scripture stamps as well as sentiments perfect for your greeting cards! Thanks so much for stopping by! Your comments make me smile! Have a great day! Fall is my favorite time of year. Already here in SE Wisconsin the leaves are changing...I love the fall colors, the feel of the crisp air, jumping in the piles of leaves, going for long drives in the country to see the beautiful trees.... Ahhhhh.... did I mention it is my FAVORITE time of year? Our brand new Fall Occasions Card Kit is full of wonderful colors and pretty shapes. You can make a dozen great cards with these materials -- all you need is adhesive! 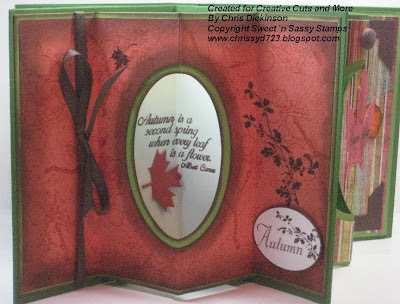 It includes cardstock and velvet leaves, velvet flowers, and cardstock buckles. Silk ribbons and silk chenille fibers from The Thread Gatherer are included, and they are delightful! 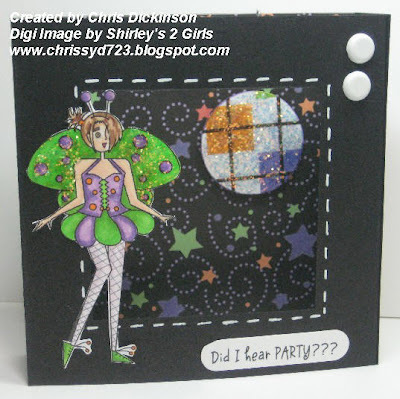 In this Card Kit, you will find A full 2-sided patterned paper pack! WOW! 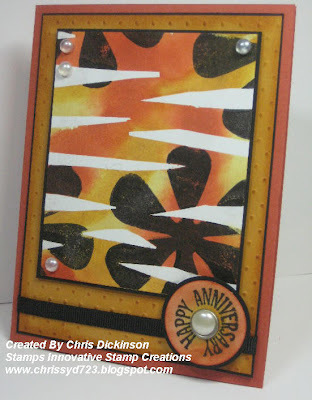 This card is created with the materials that are in this kit! Creative Cuts and More is sponsoring 2 SKetches 4 You this week, so I thought I would play along! Cardstock: Included in the kit!!! K&C Designer Paper included in the kit too! Accessories: Ribbon, buttons - included in the kit, sponge not included. Hello! I hope you had a great weekend! Ours was a very quiet one. 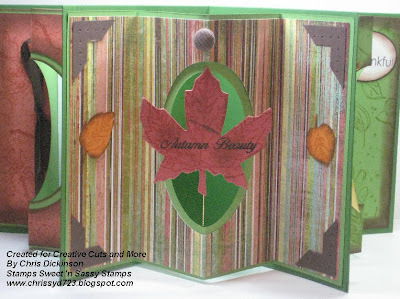 This week, I will be showing you projects from the upcoming FALL KIT that will be available at Creative Cuts and More. 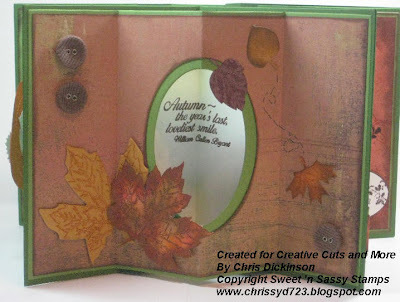 This card is Creative Cuts and More's Fancy Frame A7 - I used the Metallic Copper Stardream Bazzill cardstock as my layering and the beautiful fall paper, K & Company patterned paper that comes in this kit! This kit is luxurious, with beautiful rich tones and several shimmery papers. Another gorgeous part of the kit is the variety of silk ribbons and fibers that are included. The colors are stunning and the quality of these hand-dyed silken goodies from The Thread Gatherer is unsurpassed. The diecuts are VELVET and are a beautiful addition to this kit too. 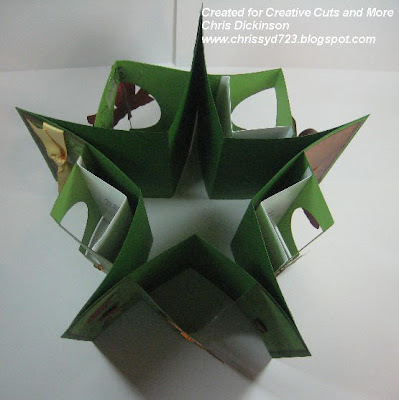 Add to that those buttons - and cardstock for 12 cards and you will have so much fun creating!!! Thanks so much for stopping by! Come back for more cards this week! Have a great day! SWEET STOP SHEPHERD WITH A SPIN & SURPRISE! GOOD DAY!!!! In addition to having another new sketch with you, this week we also have our monthly "sketch with a spin" challenge PLUS a terrific prize for one lucky participant! If that weren't enough, we've got a couple sneak peeks using our upcoming October release stamp sets. Talk about a ton of fun!! This month the "spin" is a color challenge. Please use any combination of red, black, and tan on your creation in addition to following the sketch. 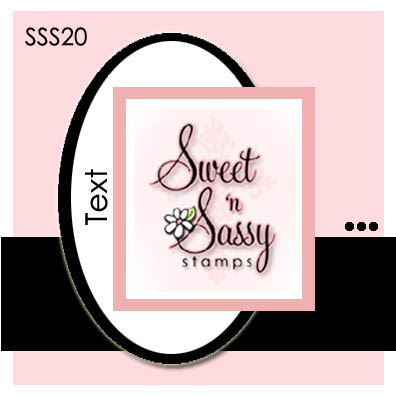 If you participate in the challenge and link your project to the Sweet Stop Mr. Linky, you will be entered into a drawing to win both of the Sweet 'n Sassy September new release stamp sets -- "Waddle I Do?" and "You Light Up My Life"!! 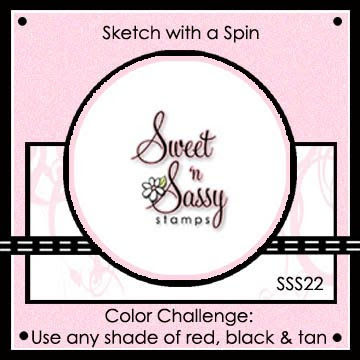 Although we love it when you do, you do not need to use Sweet 'n Sassy stamps to participate in this challenge -- please use whatever you have. 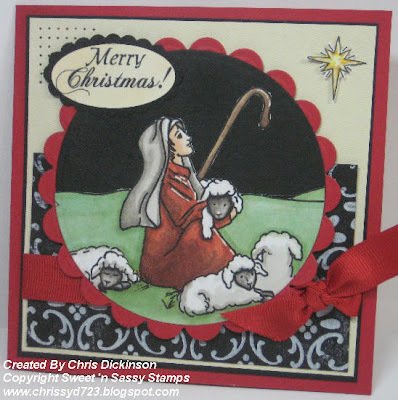 Stamps: Shepherd Boy NEW DIGI available at Sweet 'n Sassy Stamps! Hello! This week's Bloggers Challenge is to use the colors Chocolate, Crushed Curry, Mambo Melon (or similar colors) and neutrals as needed to create your project. Click on the side bar to check out the rest of the BLOGGER CHALLENGE participants projects! Ohhh, I almost forgot! 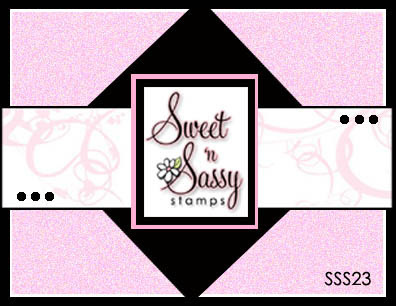 Sweet 'n Sassy Stamps is wrapping up their Blog Hop today AND they have a chance for FREE STAMPS! Tomorrow is our monthly Sketch with a Spin and a PRIZE at The Sweet Stop. One lucky participant in the challenge will receive our September mini-release (You Light Up My Life & Waddle I Do? ), so be sure to stop on by tomorrow to see this month's sketch with a spin! And don't forget to spread the word!! 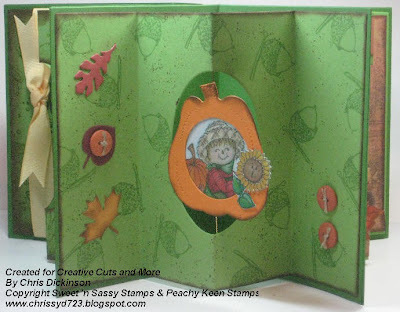 Welcome to the second day of the Sweet 'n Sassy Stamps Autumn Stroll! If you missed yesterday, you will want to Hop on over to the SNSS blog and start the hop from the beginning! You don’t want to miss any of the stops! I am the first stop for DAY TWO! Sweet 'n Sassy Stamps has a great sale on this very sweet Sunny Squirrel that is a digital stamp from Sweet ‘n Sassy. It is on sale for only $2.25! Isn't he irresistible? The sentiment is also included in the set. 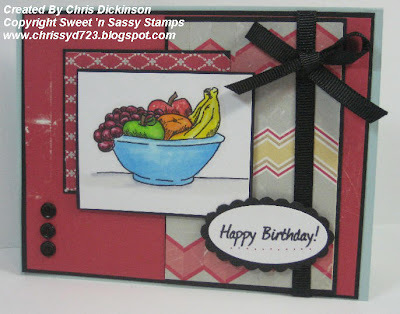 For this card, I used the Truly Scrumptious Sketch - it even had a twist that was to use THREE different images. I stamped the inside of the card too, but forgot to take a picture of it - as I write this, I am very tired, so I will have the center of the card up a but later this morning. Enjoy the hop! Have a blessed day! Hello my friends- Today's Belli Challenge Day! We have a fall or halloween theme and Creative Cuts and More is our Sponsor! You could use the Designer Paper, Stamps, Brads...just about anything you have lying around your room! Remember, we are supposed to be using our stash! We all have it... remember? That stuff from last year you HAD to HAVE? You will want to check out what the Belli Team has created for you - they are sure to WOW you!!! There were so many cute projects I was awestruck! Now for my project... Terry sent me this pumpkin for a different project and I wasn't sure what to do with it until I saw Carla's project from the Blog Hop earlier this week... she totally inspired me!!! I dug in my paper stash until I found the perfect paper...Ahhhh, the Gypsy Harvest Designer Paper from Daisy D that I HAD TO HAVE last year...I bought so much because I knew I wasn't going to get it, but here I am hoarding it!!! I want to thank you so much for stopping by. I want to remind you that there is a Blog Hop for Sweet 'n Sassy Stamps, so join us for an Autumn Stroll and leave an encouraging word! Come back tomorrow for another creation! Have a blessed day! Welcome to the Creative Cuts and More September Blog Hop, featuring samples made with the Fall or Halloween Die cuts. I am so excited because the Design Team did such a FABULOUS job with all of their creations! 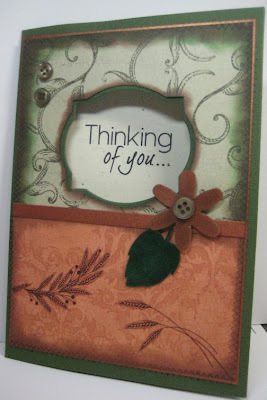 It is so much fun to see the versatility you can have with Creative Cuts and More's die cuts. 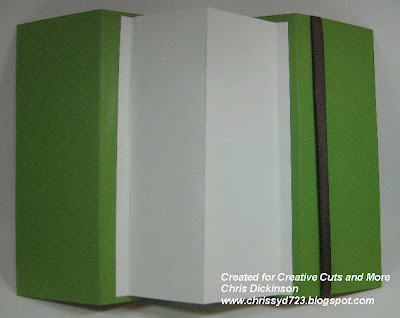 If you have come here from Diana's blog then you have come from the right place, if not, you will want to start at the Creative Cuts & More Blog so you don't miss anything along the way. I loved how Diana created TWO Castle books show casing a boy version and a girl version... didn't you? I loved them both! There are so MANY FABULOUS projects...as I was getting sneak peaks, my jaw hit the floor several times! :) You will want to go all the way through the Blog Hop because at the end, Terry has an opportunity for a great prize for you! I would LOVE to win it too!!! It is one of those beautiful House/ Castle Kits that was designed by Pam. Terry is also offering a 15% discount too! 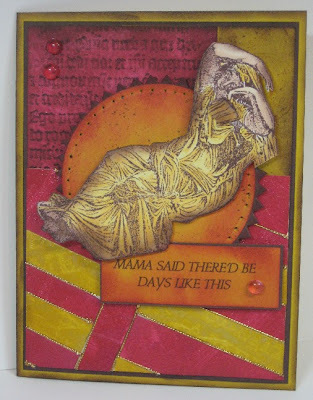 All of that information is posted on the Die Cut Diva blog highlighted above! There is even a tutorial for you at the bottom of the page! There is so much detail to this project I will share details per "scene." I had a lot of fun creating this project - I will provide links for you too! 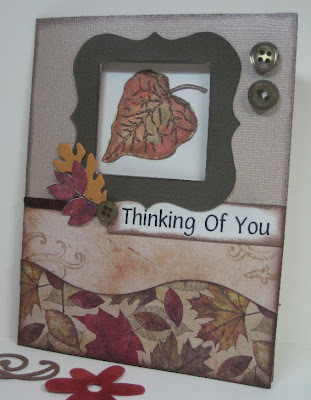 Stamp Sets: A True Friend by Sweet 'n Sassy Stamps, Rub Ons and Autumn Leaf Wheel by Stampin' Up! 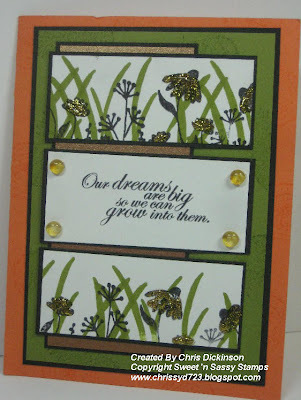 5- Window Card Kits – these come precut and pre-scored! Step 1: Take the smaller layer from the Window Card Kit (the one with the center cut out) and stamp any images you want to decorate this layer. Using your Bone Folder, following the pre-scored lines fold the cardstock into a W shape. Step 2: If you want to use an addition with words, I used white cardstock and added the words. 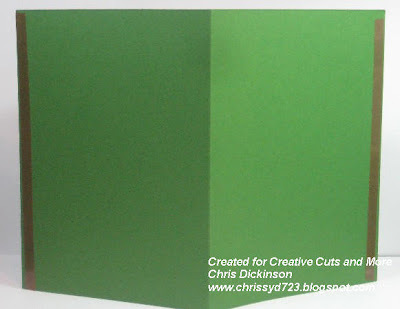 Cut your cardstock to 4”x 5 ¾”. Using your bone folder, score at ¼”, 2” and 3 ¾”, proceed to fold. Step 3: Stamp the image so it will appear in your oval. To attach the layer to your cardstock, place Killer Red Sticky Tape on each ¼” side you have scored and attach as the image shows (maybe a little straighter than mine) making sure your stamped images appear in the oval centered. Step 4: If you want to add a Spinner or suspended Image to your card, you will need about 5 inches of cord and tape. Once you have the suspended article stamped or embellished as you want it to appear, attach with tape on the back side. 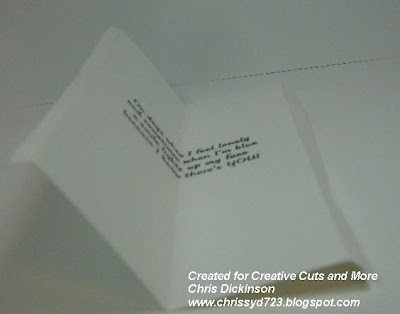 Step 5: Attach the first layer of your pre-cut Window Card Kit to the second layer, putting tape only on the sides. Step 6: To put it all together, place Killer Red Sticky Tape along the edges. Once that is complete, CAREFULLY attach the edges of each piece to one another. When you are finished, it will look like a Star when you look down upon it. See top of post for the image! Step 7. If you want to add another layer of Designer Paper like I did cut your paper to 8 ¾” x 5 ¾” and lay the smaller layer from the Window Card Kit (the one with the center cut out) over your designer paper centered. Taking a pencil trace the Oval out. This will give you your guide to cut the oval out. I used a Creative Memories Oval Cutter, but you could use the Coluzzle too. 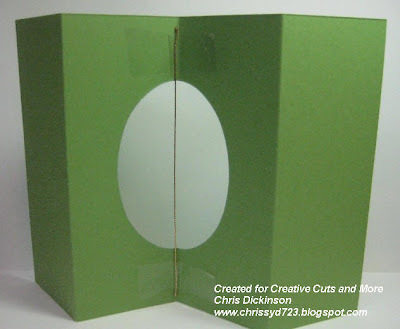 Once you have the oval cut out, attach the Designer Paper to your project and decorate it as you would like too. From here you will want to check out Ellen Sosnoski 's awesome project! Thanks for stopping by! Please let me know if you find this tutorial helpful. Happy Saturday! You all know that it is Sweet Stop Saturday and we have another FUN Sketch for you to play with. 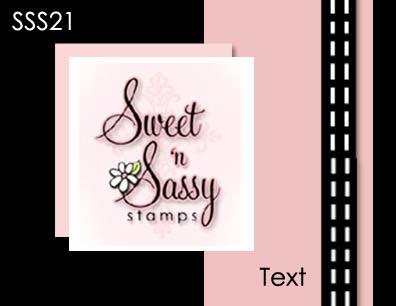 Before we get started though, I want to let you know that Creative Cuts and Sweet 'n Sassy Stamps will have a Blog Hop next week! Now here is our Sweet Stop Sketch! I hope you have a fabulous weekend! Thank you for stopping by and leaving me some love! Hello! I hope this is finding you having a GREAT day! I personally am glad it is Friday. We have had such a busy week. 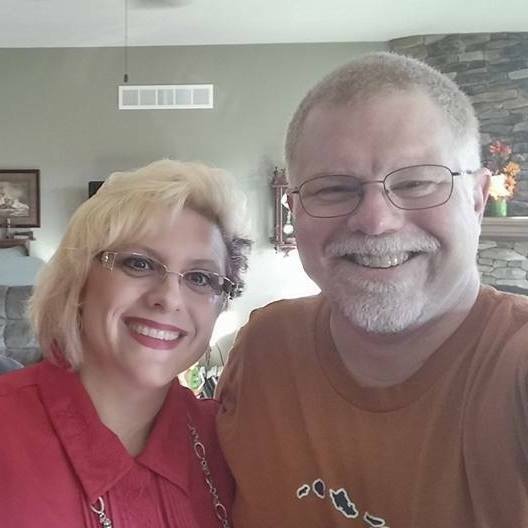 My weekend is busy too, but it will be nice to have my husband home with me. Be sure to check out all of the Bloggers Challenge participants projects by clicking on the link on the sidebar. Thanks for stopping by! Have a great day! Hello! I am so glad the holiday weekend is over. They throw me off of my normal routine and that is truly what I long for! I spent Tuesday drawing for some upcoming stamp sets. I am exited about! One of them will be out as a digital image this Thursday! So be on the look out! Hello! It is Sweet Stop Saturday again! 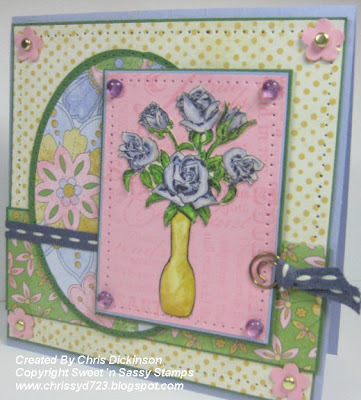 As I looked around my stamp room I tried to figure out what set I haven't used in awhile and my eye came across this Designer Paper I bought several months ago and the Love Blooms stamp set from Sweet 'n Sassy Stamps. Thanks so much for stopping by! I hope you have a fabulous day!